Origami means "folding paper" in Japanese. 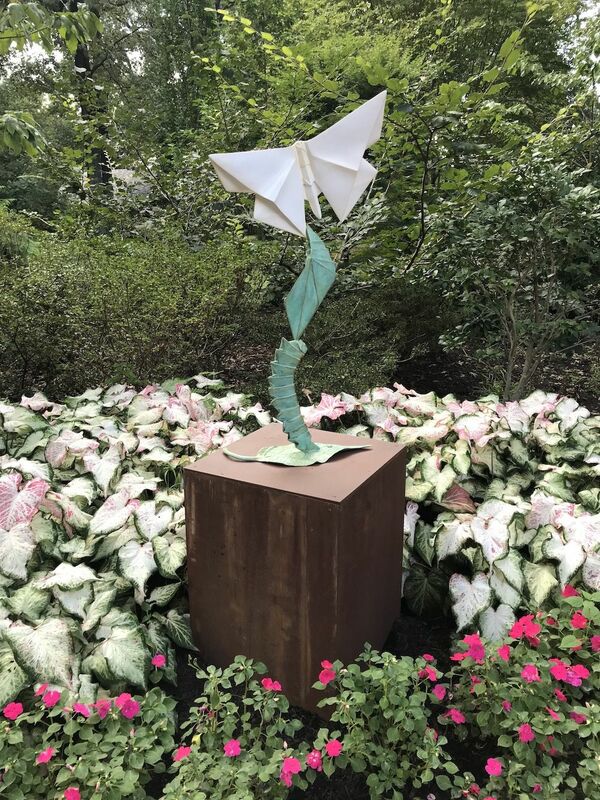 Origami in the Garden tells the story of this art form through a traveling collection of metal sculptures displayed outdoors in public gardens and museums. Each sculpture is inspired by a blank piece of paper that has been transformed into museum quality metal and tells the story of creativity and the art of making something out of nothing. The collection was created by artist Kevin Box and includes his own compositions as well as collaborative works with his wife Jennifer and origami masters Beth Johnson, Michael G. LaFosse, Te Jui Fu, Tim Armijo and Robert J. Lang. In 2019, there are three different locations and opportunities to experience the exhibit. The Turquoise Trail Sculpture Garden (TTSG), near Santa Fe, New Mexico is hosting the monumental collection of sculptures, displayed in a high desert landscape. 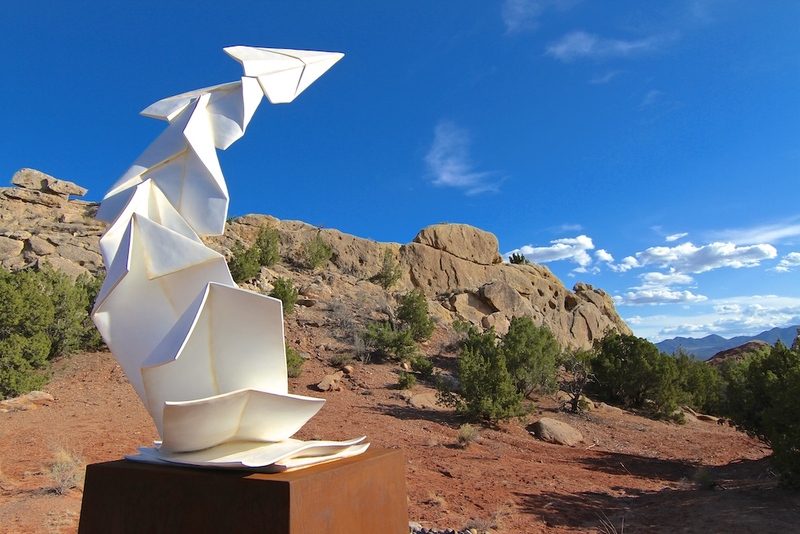 It is the home and sculpture garden of Jennifer and Kevin Box, the creators of Origami in the Garden. The Turquoise Trail Sculpture Garden is a private residence nestled in the Little Garden of the Gods on Highway 14, a National Scenic Byway. 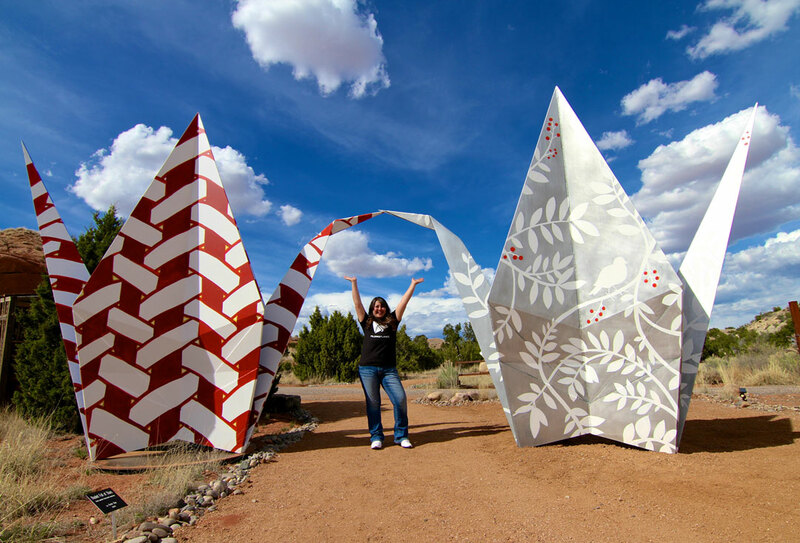 With towering rock formations encompassing the three-acre sculpture garden, visitors meander through a distinct southwest landscape discovering sculpture along the way. TTSG is open to the public seasonally between Memorial Day and Columbus Day, M-F 9:30am-4:30pm. To compliment the outdoor sculptures, this summer's programming also consists of an interior paper exhibit in the TTSG Gallery Gift Shop. 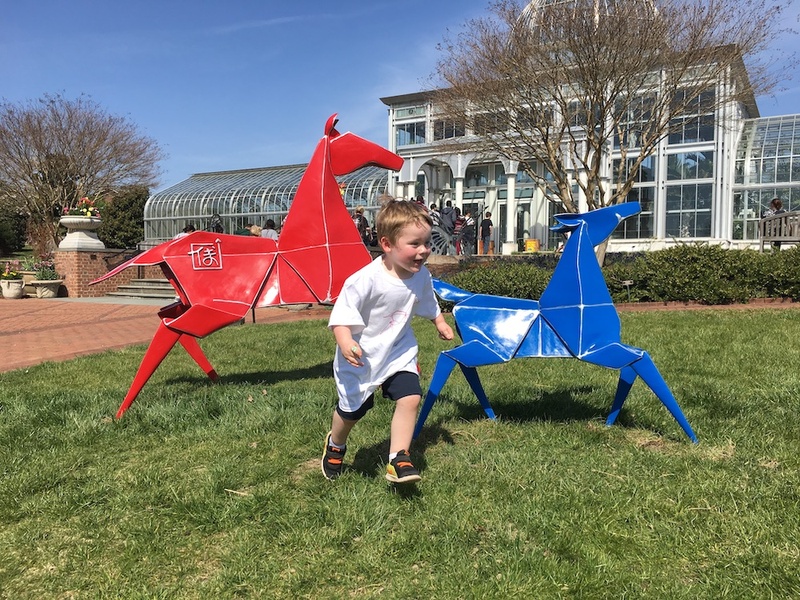 The exhibit can also be viewed in the beautiful Great Bay Area at Dow Gardens in Michigan and the coastal forests of Cape Fear Botanical Garden in North Carolina. In Michigan, visitors can experience a dazzling 110-acre display of annuals and perennials punctuated by distinctive bridges, an award-winning children's garden, towering pines, and delightful water features. 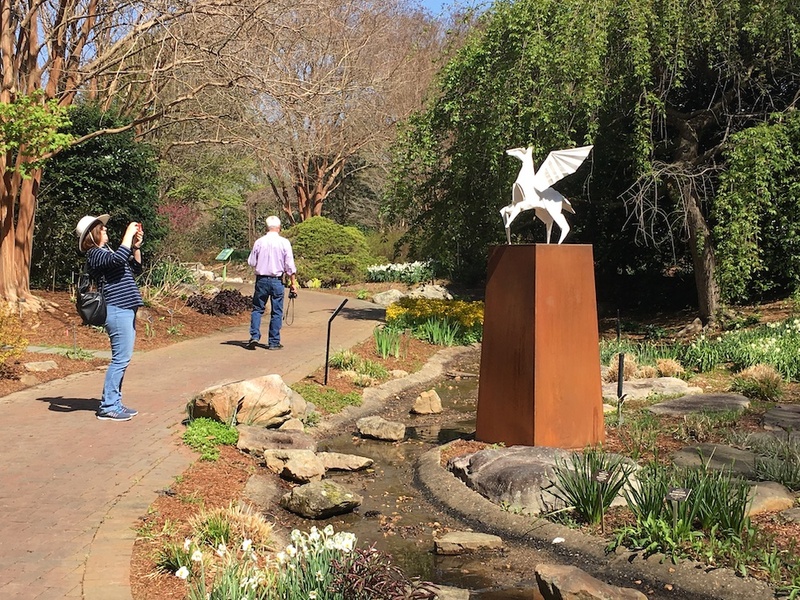 Cape Fear Botanical Garden is a great place to stroll along a scenic river trail with water views, take in a guided tour, see beautiful specialty gardens and blooming ornamental plants as well as their Heritage Garden featuring 1886 agricultural structures and a homestead. All locations promise to take visitors away from the hustle bustle of life and into an artful experience outdoors for a little Zen in the garden. Visit our website www.origamiinthegarden.com for more information on all exhibitions and to contact us to schedule a visit or tour at TTSG. Please feel free to contact us for high resolution images.